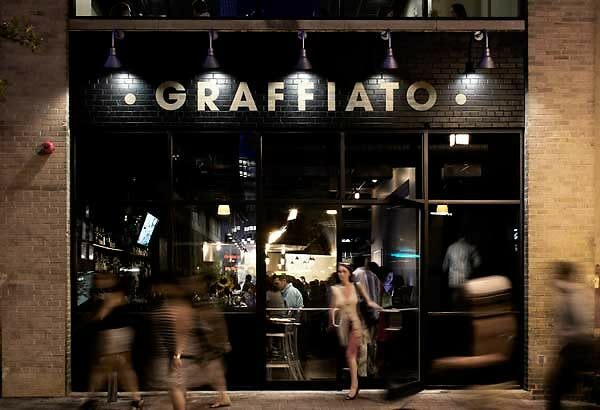 Celebrate Graffiato's Industry Takeover Night's 1st Birthday Tonight! Celebrate the one year anniversary of Mike Isabella's Industry Takeover night today by wining and dining with Top Chef alums, local chef celebs, and restaurant industry amigos. If you haven't been to an Industry Takeover Night at Graffiato yet, they take place the first Monday of each month and feature tastings of the cuisines of a wide-range of famous and extremely skilled chefs (many that are personal friends of Mike Isabella, owner of Graffiato and former Top Chef contestant) that hail from across the country. The food and drink will be available on both floors and includes a front-row seat of all these incredible chefs in action. Plus, it's a $10 cash-only cover benefitting Meals On Wheels! Check out the full list of chefs to be featured tonight below.